One of the most exciting features of RadCotnrols for WinForms is that their appearance can be easily customized. 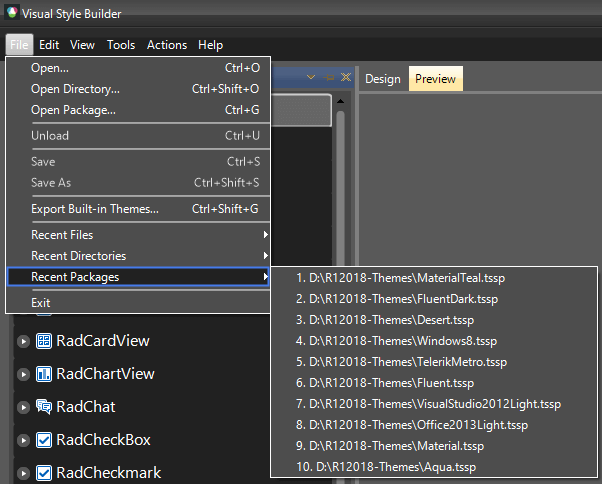 Visual Style Builder is the tool that makes the process of customization effortless and pleasant. It allows Telerik customers to create brand new themes from scratch and also modify existing themes. 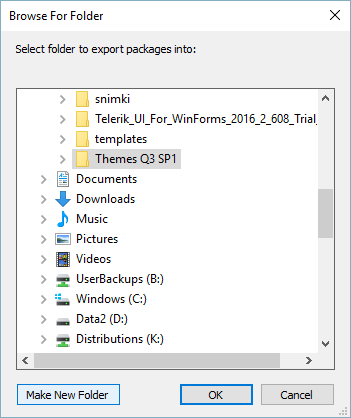 More specifically, VSB provides the opportunity to load and customize a default Telerik theme. This tutorial illustrates how you can extract and load the default Telerik themes in the Visual Style Builder. 1. Open the Visual Style Builder (VSB). You can achieve that through Start Button >> All Programs >> Telerik >> UI for Winforms [version] >> Tools >> Visual Style Builder. 4. 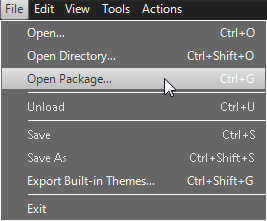 When the dialog opens, navigate the folder you chose in step 2 (i.e. navigate to MyThemesFolder). 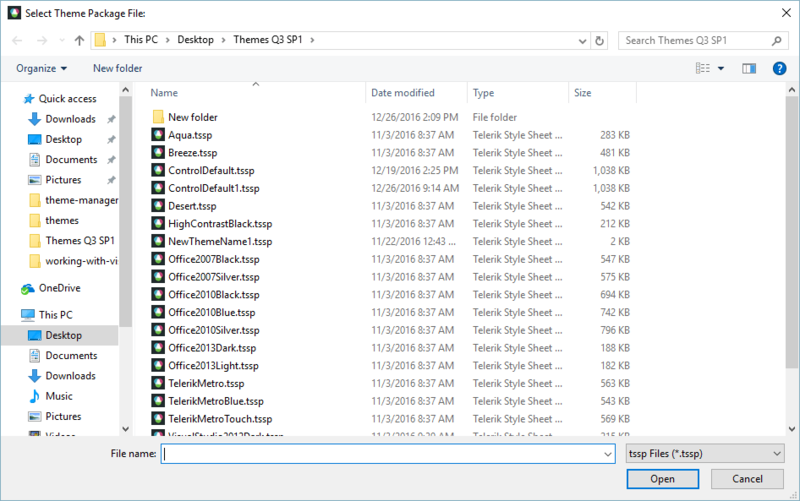 There you should be able to find all Telerik default themes. 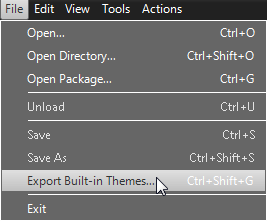 Select one of the themes and click Open.